A joint cycling expedition of Indian Army and Bangladesh Army is being conducted from 22 Mar 2017 to 04 Apr 2017. The expedition will commence from Agartala in India and traverse through major cities of Bangladesh via Comilla, Dhaka, Jessore culminating at Kolkata. 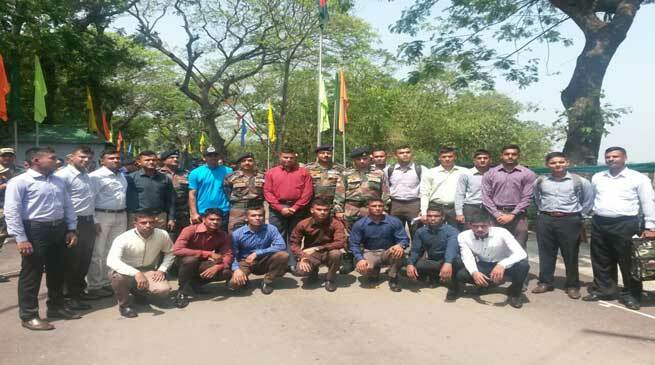 Indian Army and Bangladesh Army conduct joint military exercise annually, the introduction of joint adventure activities will result in increased mutual understanding and cooperation at troops level. The expedition teams comprising of 15 soldiers each including offrs, JCOs and OR will cover approx 500 km in 12 days. During the expedition the team will also visit historical battle sites of the glorious liberation war of Bangladesh in 1971. On the Indian side the expedition is being conducted under the aegis of HQ Eastern Command. The expedition will be flagged off by Lt Gen A S Bedi, YSM, VSM, GOC Gajraj Corps on 22 Mar from Agartala. Apart from increased bonhomie, the expedition will also create awareness about the unique heritage, culture and traditions of both countries amongst the participants.